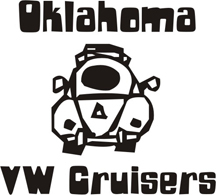 Oklahoma Vw Cruisers • Running Again! 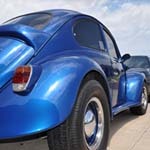 Just got my bug running again today. It kept dying at every stop when the engine got a little warm. I disconnected the automatic choke, not sure if this is a good idea or not but it worked like a charm, took it out for about an hour and had no problems at all. Is this a bad idea or is this ok? So, I am down to finally get out sometime and hang, cruising, or whatever... when’s the next anything? I can't do the Tuesday thing because I have class all night every Tuesday. If you disconnect the power to it, it wont heat up so the choke will stay closed longer. You can loosen the 3 screw on the choke and rotate it to a position that the car runs when warmed up, then put the wire back on. Ok cool, I will do that tonight. Its what i usually do. If your car wont run after that, you have an intake leak or some other problem.